And so he should, not long before he had won the 500cc motorcycle GP aboard an MV Agusta before jumping into his car for the Formula 2 Grand Prix, his fortunes in that event not so good. 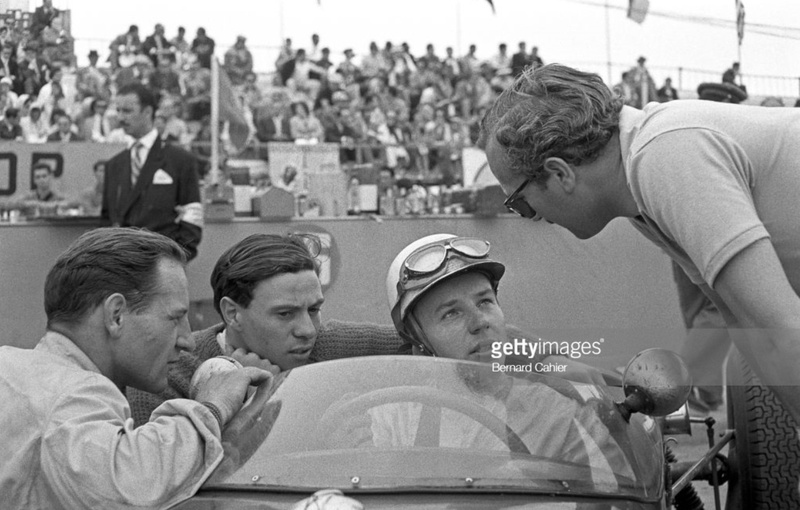 I found this photo randomly on Getty Images, this brief Porsche chapter of the great mans career was not one I was familiar with but a couple of my online buddies identified the event- many thanks to Roger Virtigo and Glenn Ducey. 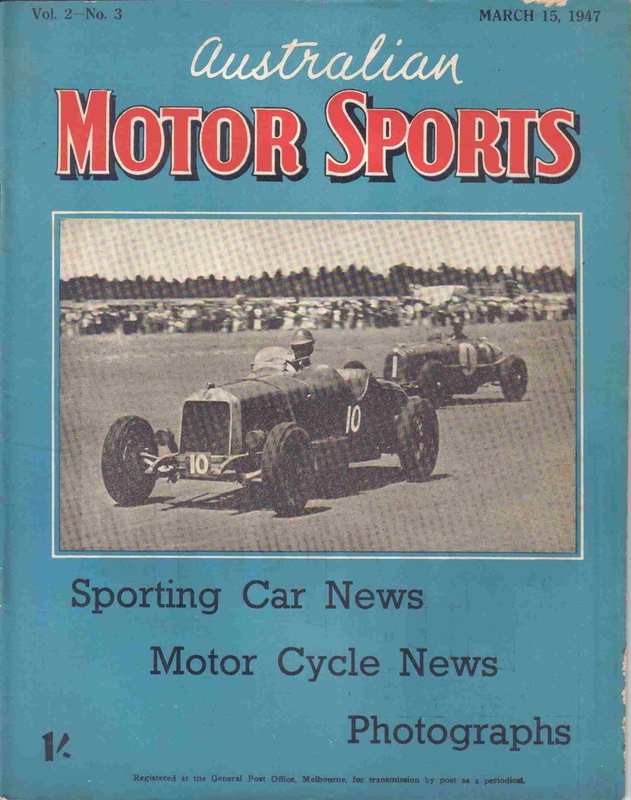 My initial plan for this article was a quickie on Surtees’ first year in cars but then I became rather enamoured of the Solitude circuit, in particular the significance of the 1960 race for reasons which will become clear when you read the great Denis Jenkinson’s MotorSport account of the weekend. 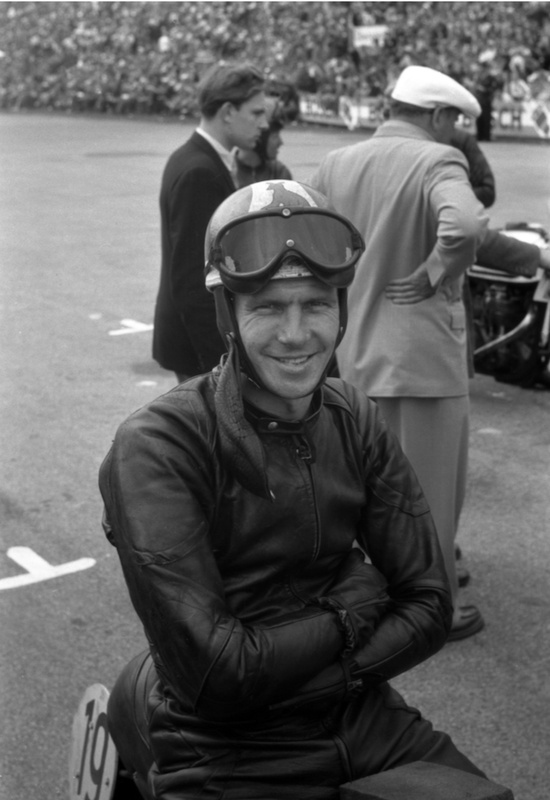 Whilst still the benchmark in grand prix motorcycle racing – he would retain both his 350cc and 500cc world titles aboard MV’s in 1960 – Surtees at 26 years of age, stepped into cars that year. Two months later he made his F1 world championship start at the Monaco GP in late May- Q15 and DNF gearbox on lap 17 in the race won by Stirling Moss in Rob Walker’s Lotus 18 Climax FPF. 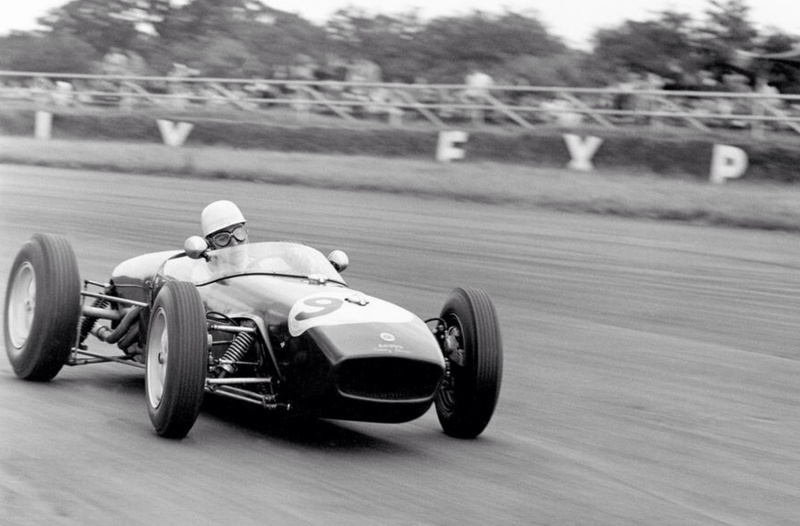 In Surtees home GP in July, the British at Silverstone, he finished second, an amazing performance, Jack Brabham won on the way to his second World Championship aboard his works Cooper ‘Lowline’ T53 Climax. Whilst the Lotus 18, Colin Chapman’s first mid-engined design was in many ways the 1960 ‘Car of The Year’ it was still amazing stuff, the transition from two to four wheels never done as smoothly before or since. It was with his tail up that Surtees headed off to the Solitude Grand Prix, that year an F2 race for cars of 1.5 litres or less in capacity. 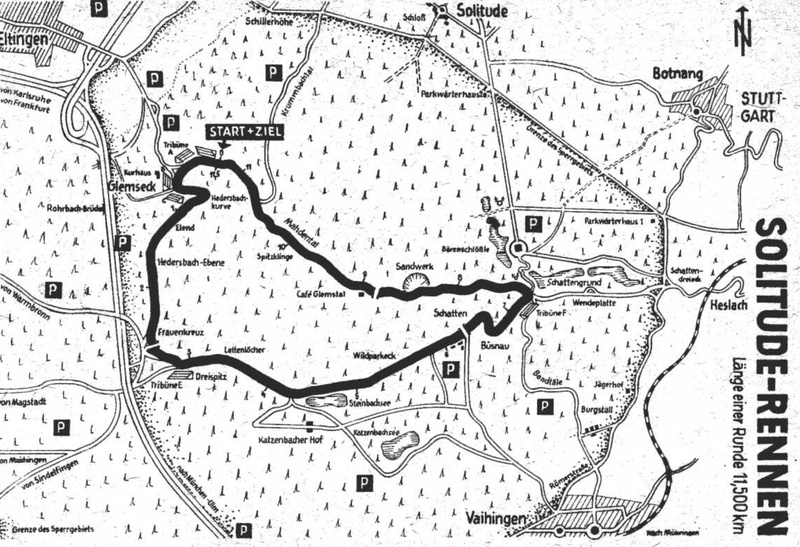 The 7.1 mile Solitude circuit, a few miles out of Stuttgart had been in existence for many years- used mainly for motorcycle racing it took its name from Schloss Solitude, an old German castle on top of one of the hills overlooking the valley in which the circuit lay. 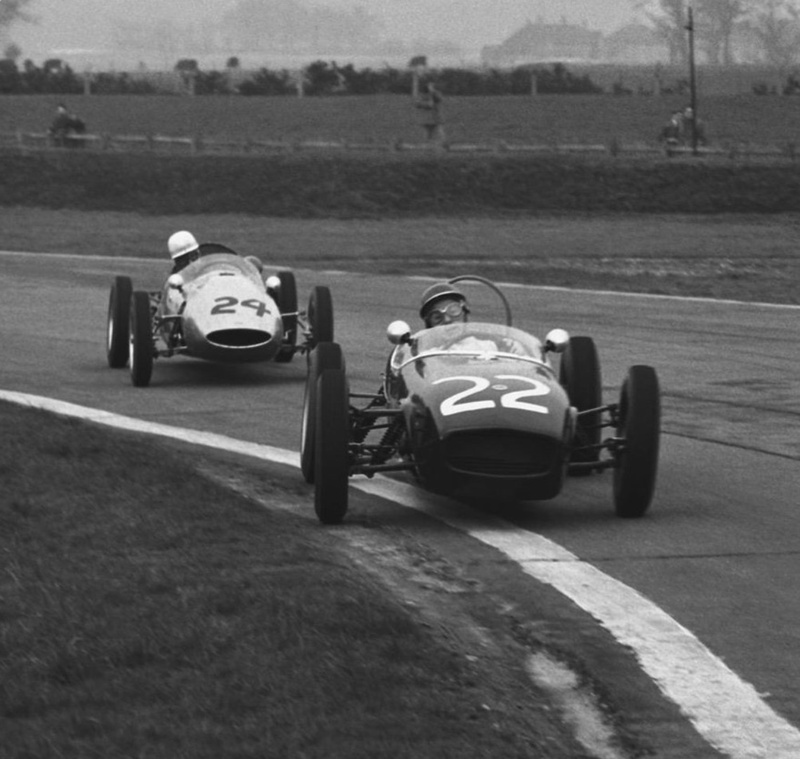 The circuits narrow width precluded its use for cars until that was addressed, an international Formula Junior race was run in 1959 with the 1960 F2 race appropriate for a circuit Denis Jenkinson, who had raced on it as a motorcycle competitor, rated as one of the best in Europe. 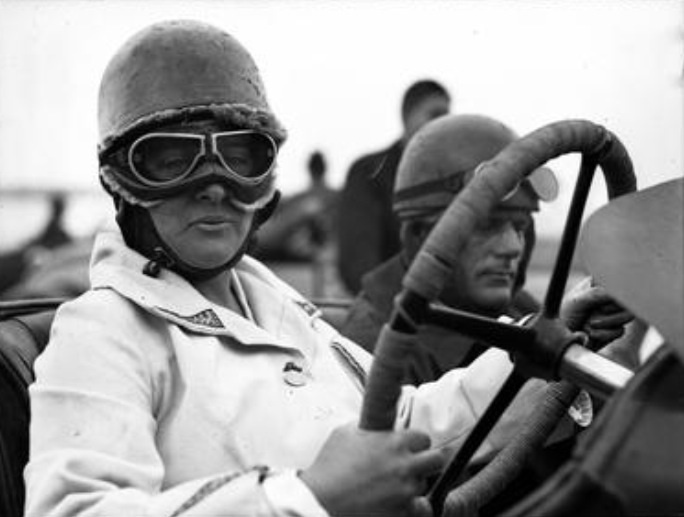 Porsche fielded five cars altogether, determined to win on their own proving ground with Bonnier, Hill and Herrmann driving the regular three factory cars. The Rob Walker car had been retrieved, a standard Porsche racing gear-change put back on it and loaned to Surtees, while a brand new car was finished the night before practice and driven by Dan Gurney, so the whole BRM team were being used! Team Lotus entered three works Lotus 18’s driven by Ireland, Clark and Trevor Taylor, the last two also driving in the Formula Junior race with other 18’s. Scuderia Ferrari sent two entries, one a normal front-engined 246 with a Dino 156 engine driven by Phil Hill, and the other a new version of the F2/60 rear-engined experimental car, driven by von Trips. ‘This car was basically the rear-engined model (246P) that appeared at Monaco and Zandvoort, but had undergone a lot of modifications. 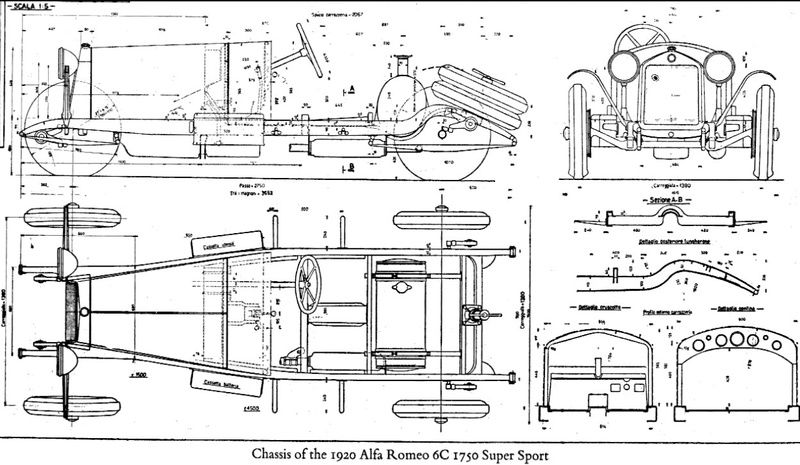 The construction of the wishbones had been altered and also their size and positioning on the chassis, so that although there were still double-wishbones and a coil-spring to each wheel they were of a new pattern. The 1 1/2-litre V6 Dino 156 engine was coupled to the gearbox/final drive unit used on the car at Zandvoort, still with inboard disc brakes, but instead of the clutch-operating mechanism being mounted on the last chassis cross-member it was now on an alloy casting bolted to the rear of the gearbox casing and curving round the left side of the clutch body, which was still exposed. 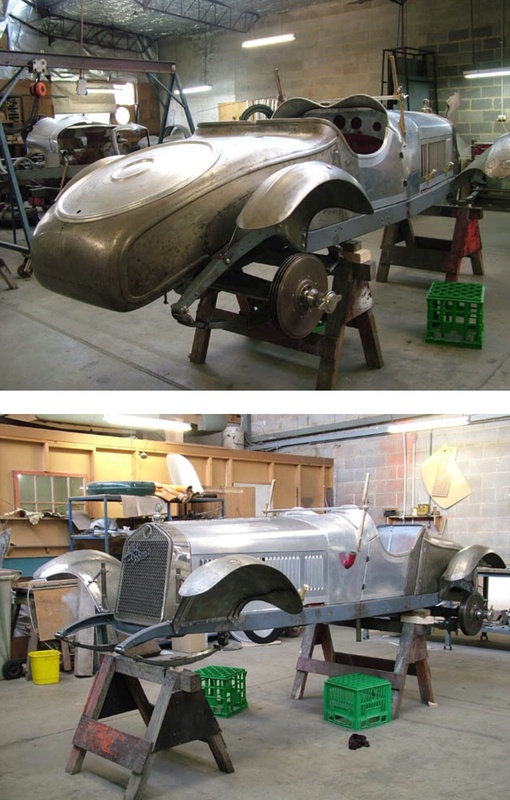 Consequently the chassis tube extensions beyond the gearbox were cut off and the space frame finished under the gearbox. 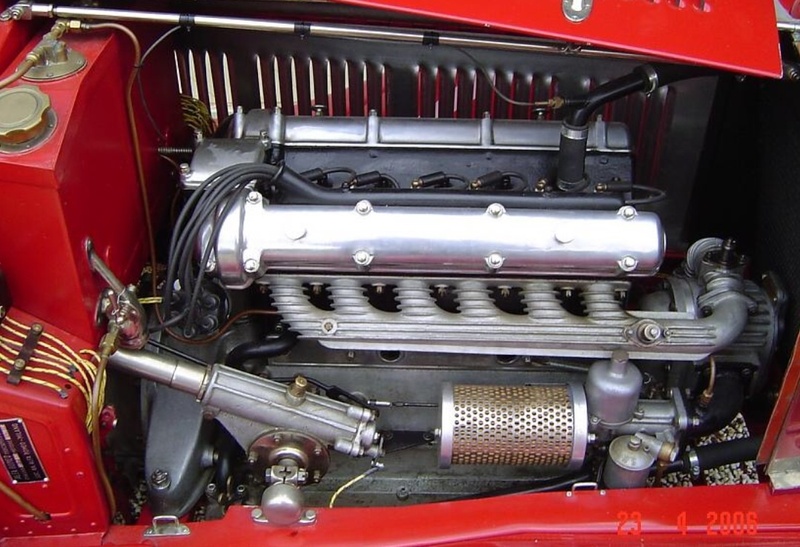 There was no water header tank over the engine and the vertical distributor had been replaced by a horizontal one on the front of the engine, so the high head faring could be done away with and the rear decking was made flat, like a Lotus, with a perspex bubble open at the front over the three downdraught Weber carburetters. 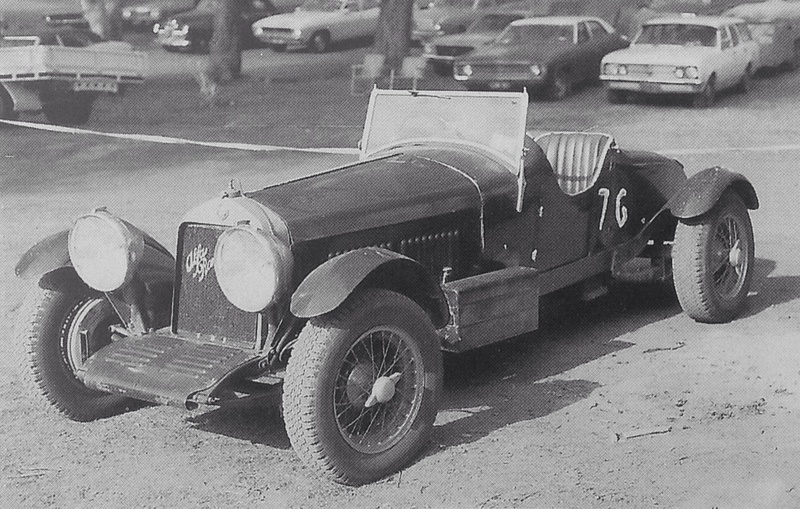 The tail of the car ended in an aperture fitted with a grille that would have made a nice radiator cowling for a front-engined car, and two long thin megaphone exhaust pipes stuck out the back, protruding well beyond the extremity of the body. 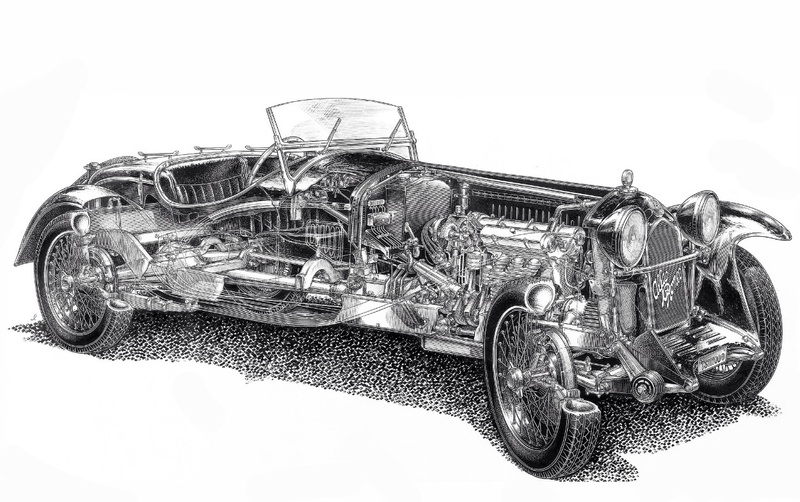 The short, stumpy nose of the car was much as before, with the radiator fed from a typical 1960 Ferrari cowling and the cockpit having a wrap-round screen’. 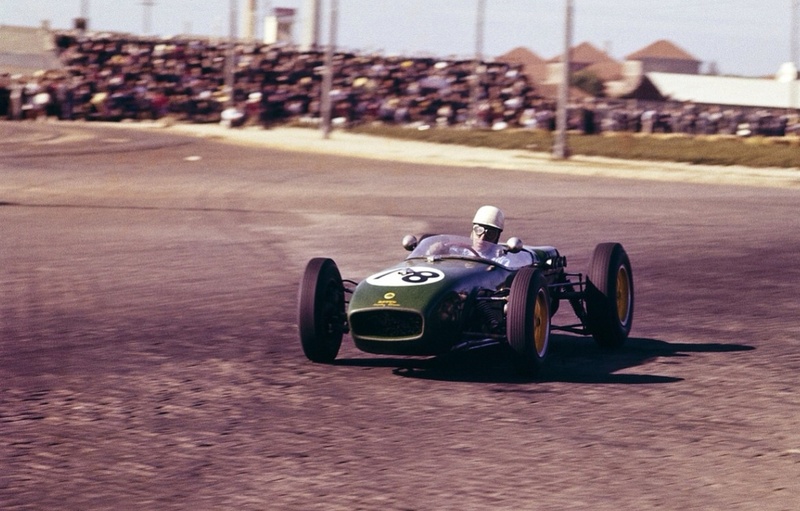 Jack Brabham represented Cooper with a 1959 car built up from bits and pieces, either a T43 or T45 and was looked after by his own mechanic- they were still cobbling the car together as practice got underway, whilst the rest of the Coopers were private entries. The challenges of the road circuit resulted in Australian rider Bob Brown’s death later from head injuries sustained when he fell from his Honda 250-4 during the motorcycle practice session. 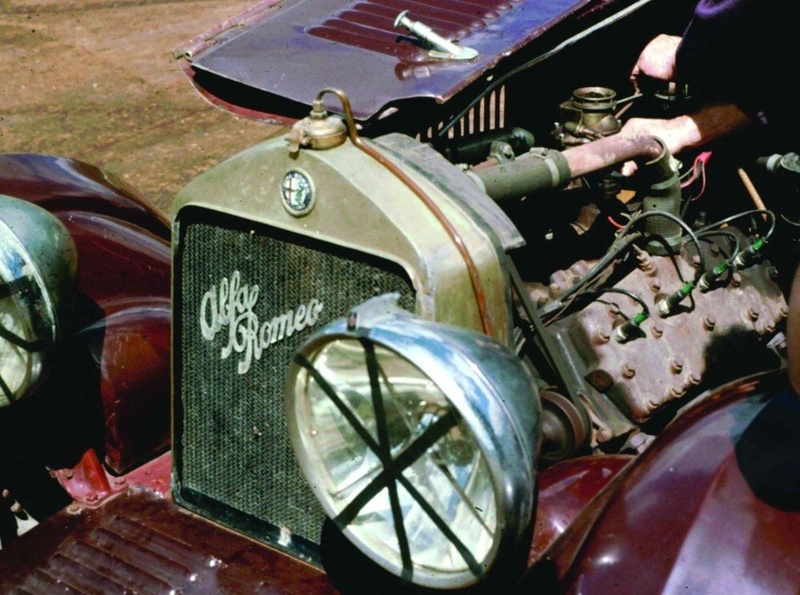 The 30 year old, born at Little Plains near Inverell, New South Wales trained as motor mechanic and worked as such and as a taxi-driver in Sydney before local success led to seeking fame in Europe in 1955. After doing well on privately owned bikes he was picked up by Gilera in 1957. In 1959, riding his private Nortons he was third in both the 350 and 500 World Championships beaten only by the works MV’s. Because of his experience aboard the Gilera fours in 1957 he was offered a works Honda 250-4 in 1960 on a race by race basis. On one of these technically very advanced machines, commented upon by Jenkinson below, he was 4th at the IOM TT becoming the first Western rider to score points on a Japanese bike. Solitude was only a month later, Brown crashed on dirt or grit brought onto the surface by errant cars on the ‘notorious sand pit curve’ on the twisty Mahdenthal section of the course. Another theory has it that he was cruising back to the pits with a misfiring engine which suddenly popped onto all four cylinders- whatever the case he was tossed off his mount sustaining head injuries to which he later succumbed. Even though he only contested four of the seven 500cc championship rounds in 1960, Brown was still 4th in the championship standings aboard his trusty Norton behind three MV’s- at Assen he was 2nd where he split the MV entries. In an lovely tribute to this little known Australian, Honda in its book ‘The Race for Leadership: 1961 World Championship Road Race’ the company produced to celebrate its maiden World 125/250 titles won by Tom Phillis and Mike Hailwood-Honda wrote that ‘Brown untiringly helped the Japanese riders who were new to the game and actively helped to improve the Honda-Four. Bob Brown was one of the foundations of Honda success’. 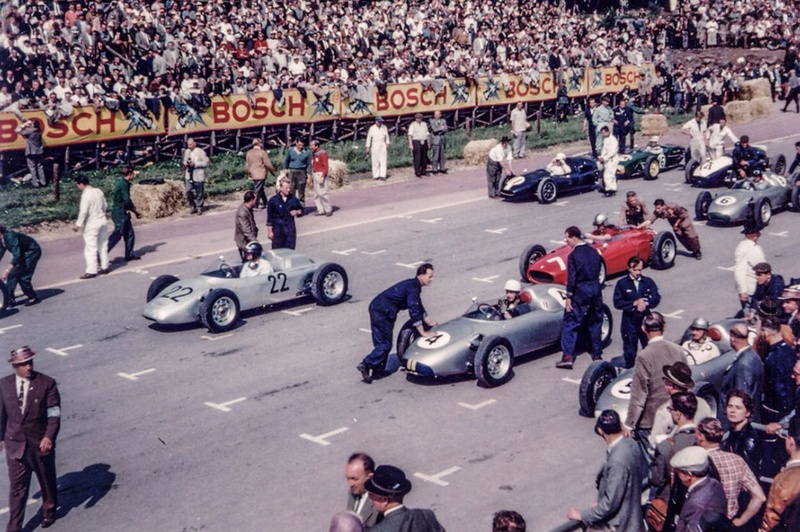 ‘Sunday was happily fine and sunny and a crowd of 250,000 lined the circuit to watch first of all the motorcycle races, then a vast procession of publicity vehicles, and finally, the Formula Junior and Formula 2 car races. In the 250-cc motorcycle race the outstanding thing was the Japanese Honda machine which finished third, this having a four-cylinder twin-overhead camshaft engine with four valves per cylinder and developing its peak power at 13,500 rpm, while it would safely run up to 16-17,000 rpm. 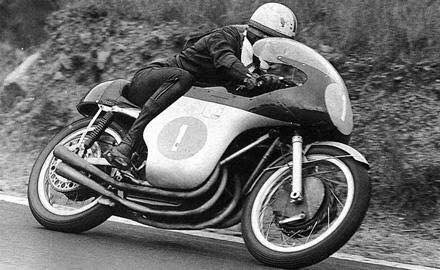 ‘The 500-cc class saw the usual easy win for John Surtees on the MV Agusta four-cylinder machine, and then we passed to Formula Junior. 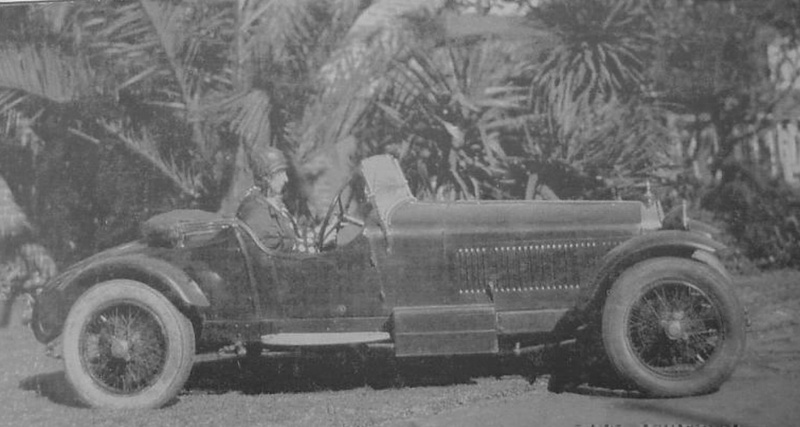 ‘Finally we came to the race of the day, with weather conditions perfect and twenty cars lined up on the grid, the only non-starter being de Beaufort, whose Climax engine was beyond repair…The race was to be run over 20 laps, a distance of 228.340 kilo­metres and the start was perfect, with Bonnier just leading the field towards the first corner. 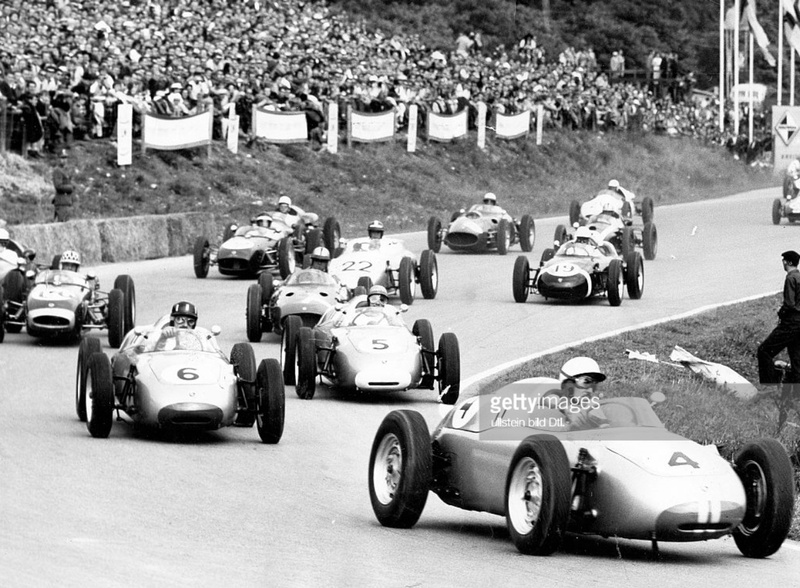 At the end of the opening lap the first nine cars were so close that it was relatively unimportant who was leading, though in fact it was Graham Hill in front of Bonnier, with Herrmann, von Trips, Gurney, Ireland, Surtees, Brabham and Clark following. On lap eight Clark had 1/2 sec lead but Herrmann was back in second place and Phil Hill had moved up a place into ninth position ahead of Surtees, and still the first ten cars were all pressing on at unabated speed. On lap nine Clark began to get worried about rising water temperature, for there had been signs of a head gasket leak on the starting line, while Herrmann and von Trips were now getting into their stride and the Ferrari brought the lap record down to 4 min 07.5 sec, and for the first lap since the start of the race there was no change in the order anywhere through the field. Halfway round lap 10 the leading Porsche and the rear-engined Ferrari were gaining rapidly on the Lotus and as Clark finished his tenth lap he drew into the pits, just as Herrmann and von Trips went by. 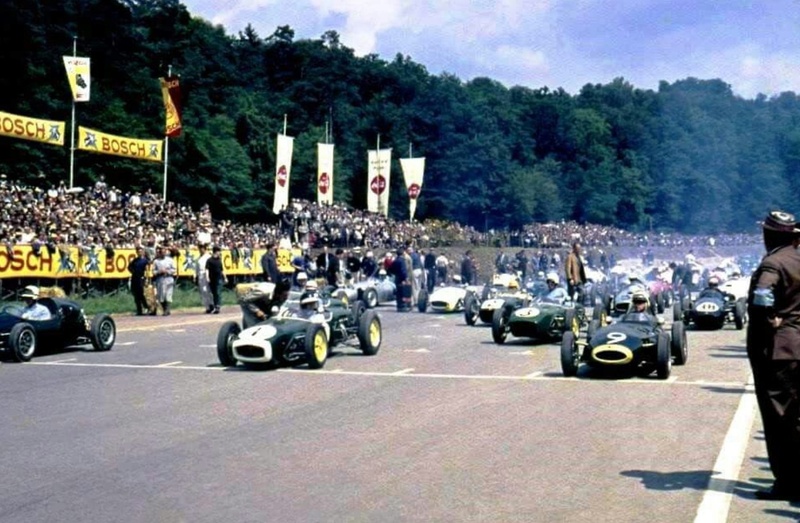 In a flash the next eight cars were past, while water was poured into the Lotus and Clark restarted in tenth place, for Lewis also drew into the pits to retire with two broken main-bearing caps and a ruined crankcase. Behind the leading bunch came Trintignant, Taylor, Gregory, Gendebien, Laureau, Barth and Cabral in that order but spaced out. Having got the lead Herrmann really flew and lapped in 4 min 07.0 sec, but von Trips was not giving in and two laps later recorded 4 min 06.4 sec and closed on Herrmann, and the two of them were now leaving Bonnier behind, who was being followed by Graham Hill and Gurney, who were changing positions continuously, and behind them came Phil Hill and Ireland, also chopping and changing places, while some way back Trevor Taylor had got in front of Trintignant. 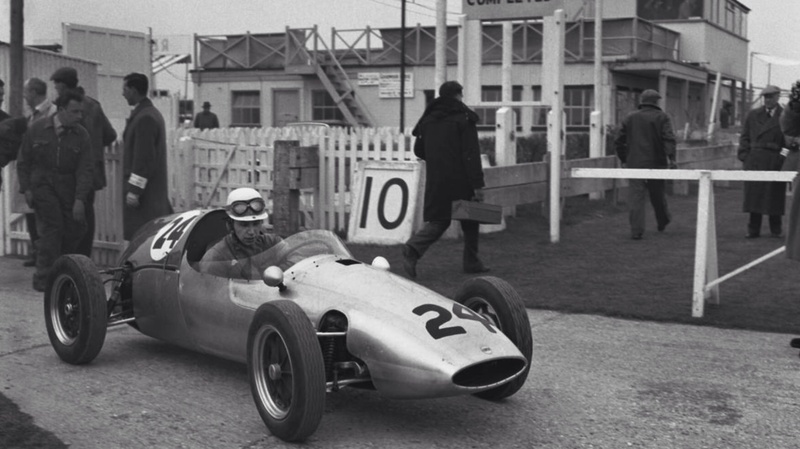 On lap 11 Brab­ham gave up with a split head gasket, never having been in the picture, and Surtees was slowing visibly, his continual gear-­selection trouble having caused missed gears and subsequent bent valves. On lap 13 von Trips was only a few lengths behind Herrmann’s Porsche, on the next lap he was right on his tail and he stayed like that for two more laps, while the two of them drew 16 sec ahead of Bonnier, but Graham Hill and Gurney were urging each other along and were catching Bonnier. On lap 16 Herrmann did 4 min 06.0 sec, but on lap 17 von Trips replied with 4 min 04.7 sec and sailed by into the lead, and the Ferrari really showed its possibilities by pulling out a 11/2-sec lead over the Porsche. Graham Hill and Gurney were still passing and re-passing and were now up with Bonnier, while Ireland and Phil Hill had not yet settled their battle. 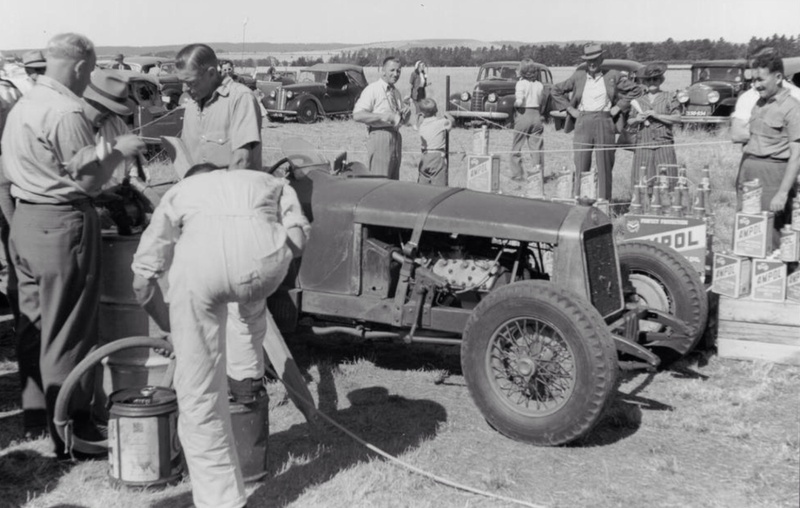 On lap 15 Trevor Taylor had retired at the pits when a cam-­follower had broken and on lap 16 Surtees had run wide on a corner trying to take it in a high gear to save the trouble of sorting the selectors out, and had spun on some loose gravel and stalled. 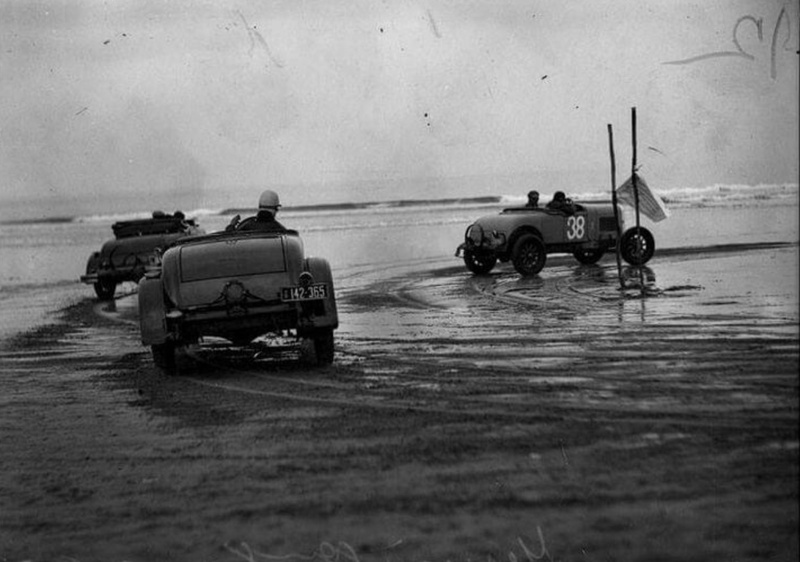 Clark was still running, but a long way back from the leaders, and most of the tail-enders had been lapped. The rear-engined Ferrari was now safely in front and von Trips was making no mistake and he finished the 20 laps nicely ahead of Herrmann, having thoroughly trounced the Porsche team on their own door­step. On lap 19 Graham Hill got into third place, but on the last lap Bonnier got by him down the straight and led him over the line with Gurney right behind them, and a little way back Phil Hill led Ireland on the penultimate lap only to be re-passed yet again on the last lap. 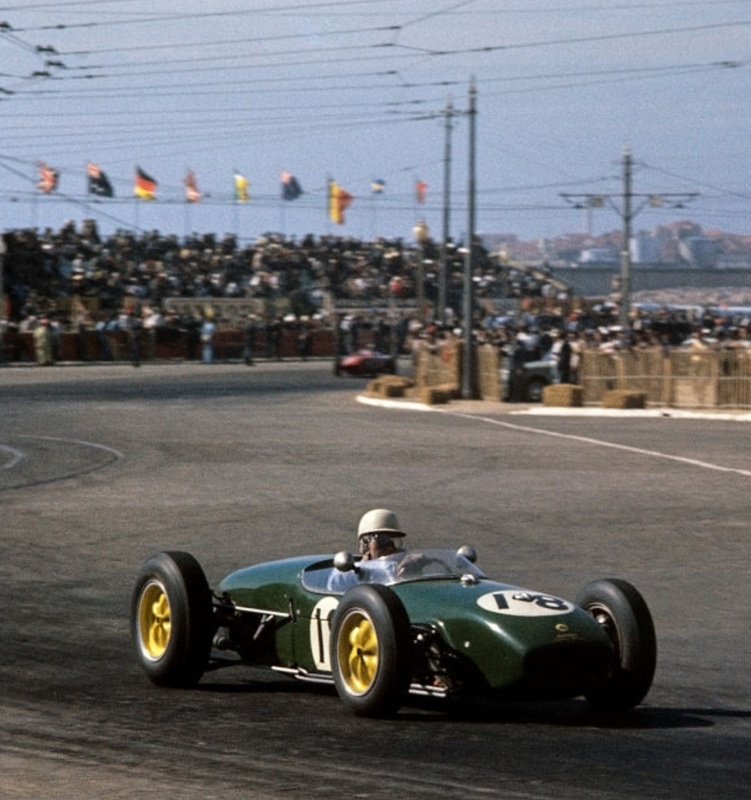 Surtees further showed his mettle at Oporto, the Portuguese Grand Prix held on 14 August. 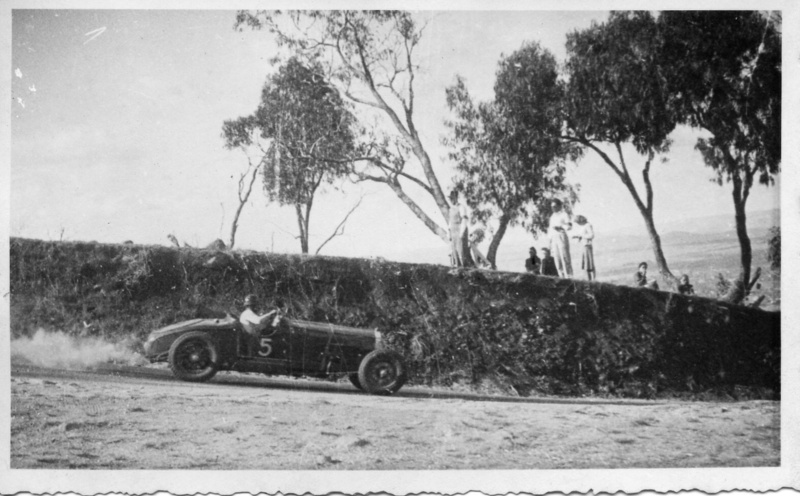 In only his third event in 2.5 litre Grand Prix cars he put his Team Lotus 18 on pole on the unfamiliar challenging portside/coastal circuit. Surtees lost out in the early skirmishes as Dan Gurney’s BRM P48 grabbed the lead, but he soon overcame Stirling Moss, Lotus 18 Climax – returning from injuries sustained at Spa – to run 2nd. The Lotus then closed on Gurney and was poised to challenge for the lead when the BRM hit engine trouble. Moss now moved forward and started applying pressure to Surtees, only to have to pit for a plug change on his Lotus 18. 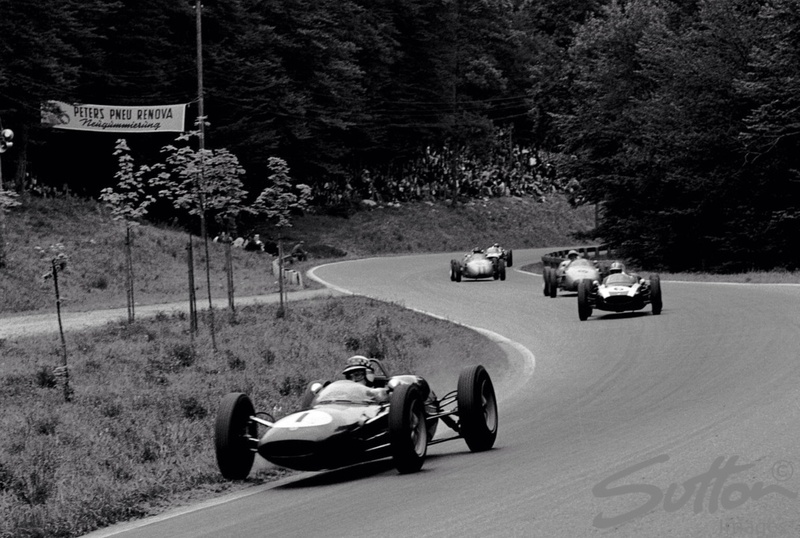 That left Surtees comfortably clear of reigning world champion Jack Brabham. 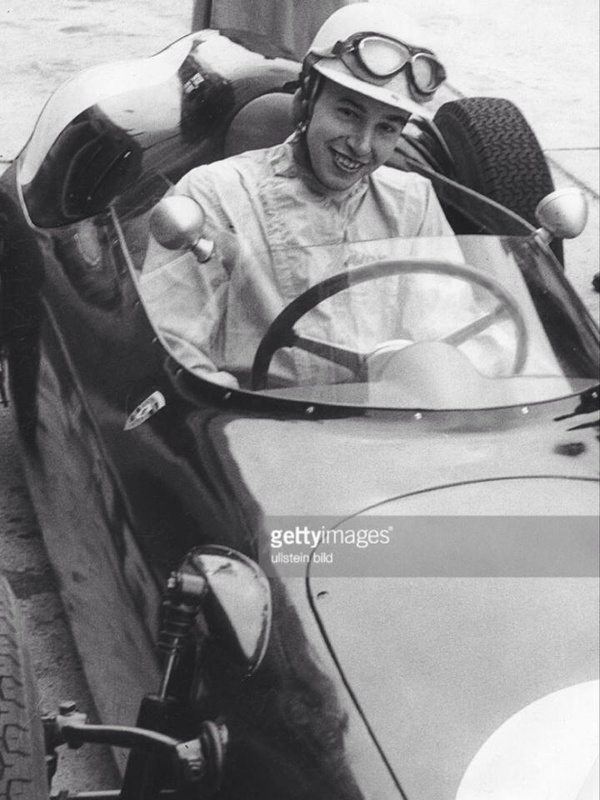 But Surtees had been battling with a fuel leak and, eventually, his petrol-soaked feet slipped off the pedals. The resulting incident burst the Lotus’s radiator and forced Surtees out of the race, but he looked at home up front of the field, which is rather where he belonged! 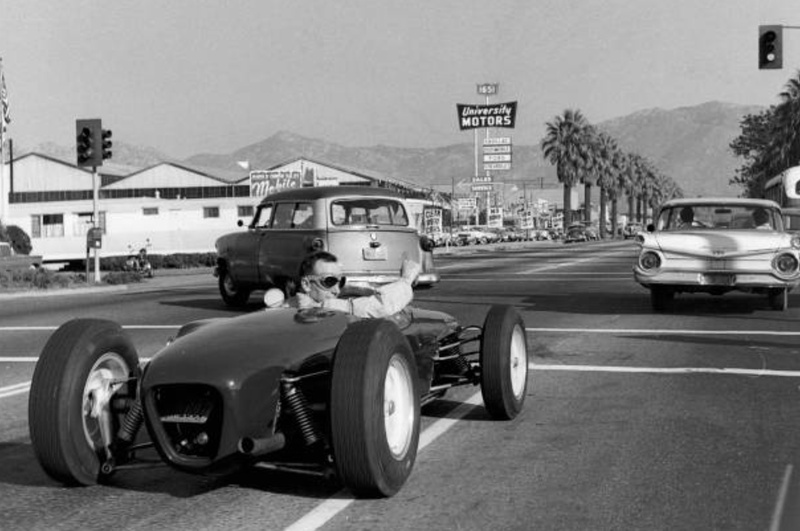 With his motorcycle commitments the only other F1 championship appearance for the great Brit that year was at Riverside, site of the 1960 US Grand Prix in late November. 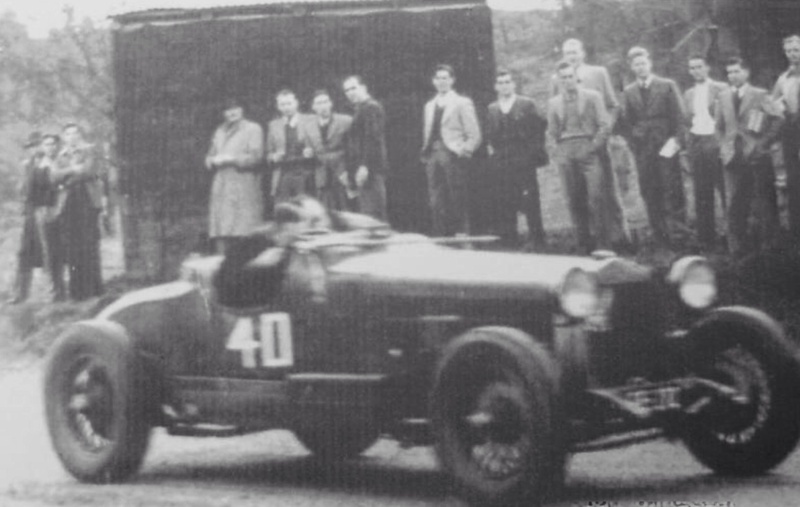 There he qualified his Team Lotus 18 6th but spun and was collected by teammate Clark causing John’s retirement. Clark soldiered on using the nose cone off Surtees car! 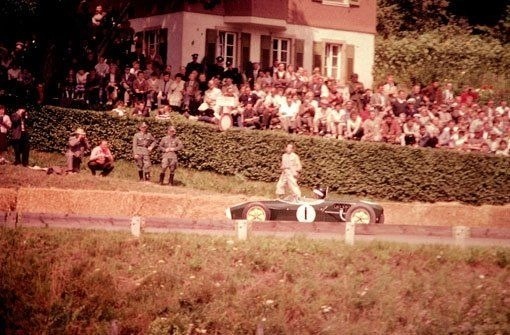 Stirling Moss won the race in the Walker Lotus 18, the fastest combination of the year- and noting Moss’ monster accident at Spa in June which outed him from mid-June till late November. ‘The starting area is wide and level and a short straight leads into a series of four left-hand bends, they can be taken in one complete arc, to form a very large-radius hairpin, “Glemseck,” turning the direction of the road through 180 degrees. Between the start and the first corner are the pits, intelligently placed at an angle to the main track, the first pit being some 20 feet from the edge of the track and the last one being about 10 feet from the edge, thus allowing everyone in the pits a fairly unobstructed view and making a very large wedge-shaped pit area. After turning through 180 degrees the road climbs steeply up the side of a hill, round a very tight hairpin to the right, “Hedersback,” and on up the hill on a gradient of nearly 1 in 61/2, levels out a bit on a left curve and then climbs up round a fast right-hand curve to the top of the hillside. Here it takes a long fast left-hand bend over the brow, “Frauenkreuz,” and down the other side, followed by another very fast downhill right-hand curve, and drops over a sharp brow to plunge down into a sharp left-hand corner, in thick woods. As the road levels out here this corner can be taken faster than imagined for the sudden cessation of losing height as you hit the corner means that the car gets a terrific downward thrust from its own weight, helping the cornering power of the tyres. From here the road is more or less level and to all intents and purposes is straight, although in actual fact there are two left-hand curves, but these are flat out. 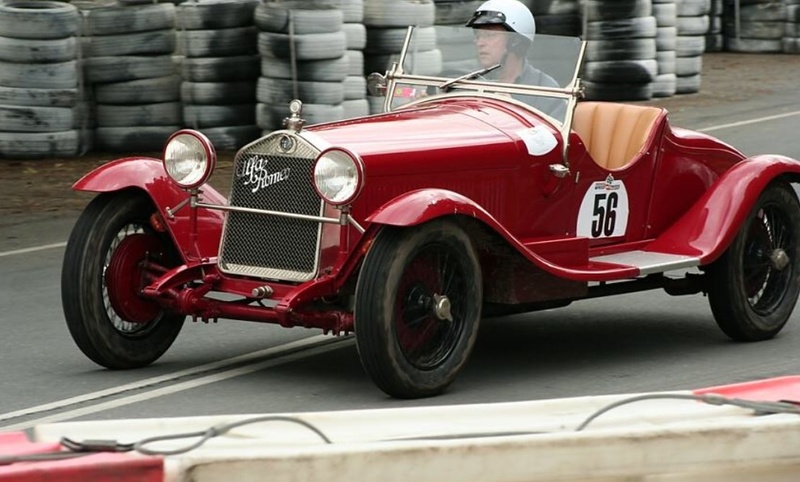 This ends in a very sharp right-hand hairpin that drops downhill to a left­hand hairpin that continues to drop downhill and is followed by a short straight rush down to a lake. Here the road turns sharp left round the edge of the lake and from here to the start the road runs along the bottom of a valley and is flat, but by no means straight. From the lake to the starting area there is a series of fast and slow corners, running through woods with a high bank on the right. This is the most difficult part of the course, for so many of the corners look alike and all are rather similar as regards surroundings, making them difficult to identify, and for 31/2 kilo­metres after leaving the lake, on this home stretch, there is no straight and the car has to be whipped from one lock to the other. The last of this long series of swerves is a left-hander which brings you out of the woods and onto the short pits straight.